Unexpected events were completely disrupting my plans. The first day of our cross-country trip had started out as planned. We left Los Angeles Air Force Base at around 12:30 p.m., and headed for our hotel just outside of Sequoia National Park–a four-hour drive plus a stop for lunch, and a stop for supper. The last 45 minutes of the driving was all hills and curves, so when we arrived at our hotel that night I was completely exhausted. Even though I had spent most of the previous week ignoring my business as we watched packers and cleaned house for a difficult inspection, I decided not to do any of the work due to my clients, resting in the knowledge that I had 12 days of a driving trip and many of those would include time for me to work in the car or the hotel at night. But day two was different. Day two, we spent a wonderful morning traveling through Sequoia National Park, and drove out of the park on the north side, headed for Yosemite shortly after noon. All was going well, but I was still driving. My husband wasn’t comfortable letting our relief drivers behind the wheel yet, since we were heading back into hills and curves that evening. As night fell, we missed a turn somewhere and ended up going quite a bit out of our way. Our hotel had a required 10p.m. check-in time — after that we would be forced to pay an additional $50 on top of their already exorbitant Yosemite prices. We were expecting to arrive around 9 p.m., but instead found ourselves driving on an unlit, extremely curvy, up and down mountain road in the dark at 9 p.m. We were trying to hurry and get there by 10 p.m., and I was still driving. Exhausted again. And I still haven’t done any work, or checked in with my clients or added any posts to my blog. We arrived at 10:05, sweet-talked the manager into not charging us or the other three people who showed up at 10:05, and collapsed in our upstairs rooms. That’s when he broke the news. There is no internet in this hotel. The satellite is down. We don’t have any cell service. And we were staying two nights. Fabulous. I have several things that must be sent to clients and business partners at this point, and no way to communicate with them. Looks like I’m taking a forced vacation. Yippee. The next day in Yosemite, I was able to get cell service for a few minutes down on the valley floor. It was very spotty, taking me our entire lunch time to make a connection with my clients and co-workers with the message, “I won’t have internet until sometime tomorrow afternoon.” Ha. The next morning, we got going early with the plan to drive up and over the mountain pass to the other side, ending up in Nevada. I was still driving the Suburban and had not had even one driving break because of the hills and curves of each leg of our trip. Today promised to be no different, but it didn’t really matter because I knew we would not have cell service until we hit the straight away. I resigned myself to completing a bunch of work and getting up at least one blog post in the afternoon, when we hit the straight away. Except the straight away never came (maps are not always as curvaceous as roads), and we ended up at our hotel again — later than expected and exhausted. Four days into our trip, and completely unconnected with my clients and my languishing websites. At this point, I should have known better. On day five, our relief drivers took over, giving me a much-needed break (thank you Grandpa!). I pulled out my laptop, flipped open the settings on my phone expecting to enable the hotspot, and discovered the unthinkable. You can’t use your hotspot if you only have one bar of service. Ten days into our trip, and I finally had consistent wi-fi and a strong cell signal on the home stretch. You can be sure I got a ton of work done, but it did not undo the damage of missed deadlines, frustrated clients, and stagnant blog space. Ten days of blogging quiet. And at the end of the ten days, I knew that God was tugging on my heart strings, pulling me towards a different approach to my business. A different purpose. 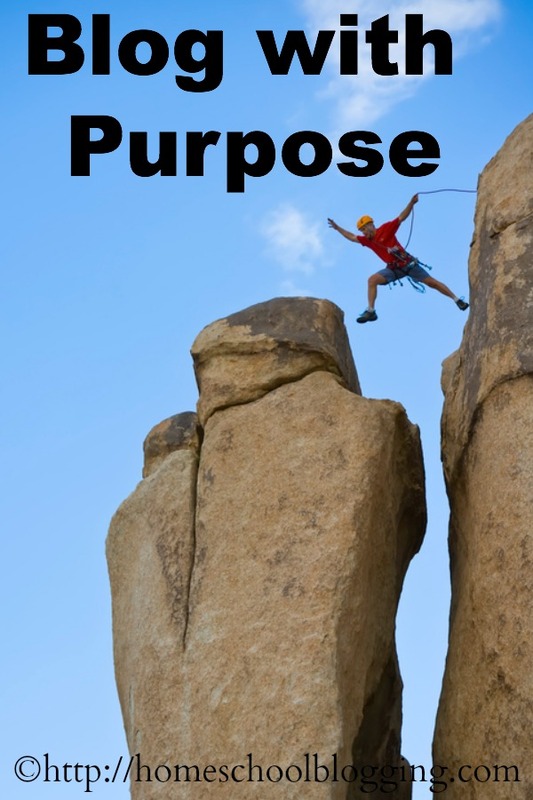 Have you considered the ultimate purpose of your blogging business? What’s your bottom line goal? Is it money? Fame? Traffic? Competition? What’s driving you to create? “Because in reality, God has created us — to create.” Del Tackett, The Truth Project, Tour 11. Blogging has always been about creating for me. With the loss of my musical abilities due to surgery, I needed a creative outlet in a big way. With a minor in English, writing has always been my second choice. But we were not designed to create without the intended purpose. Our creations are supposed to point people to The Creator. Deep down, I’ve always known that. But it has not been the bottom-line driving purpose behind my blogging creations. I love this website for articles like this! I understand you completely. Those disconnected moments are the ones that help you realize where your business/blog is heading to. Those are the moments the Lord helps me to realize what is important and what is not. That is happening to me now that I am on vacation and I am enjoying the free time, the focus, the planning and the start all over again with a new and fresh mind while enjoying the fruits of the good choices and results of the past. It is good that you point that our creations must point to the Lord. That is a good purpose. Thank you for this! You are very welcome. It is a message God has laid on my heart over and over.